SensoWash Slim, is a minimalist addition to Duravit’s shower-toilet range. Practical, easy to use and with intelligent integrated technology, it offers the most natural form of hygiene – cleansing with water. Combined with a rimless WC and ordered with the new HygieneGlaze, Duravit is able to offer the ultimate combination in terms of hygiene, comfort and technology. Compatible with seven Duravit collections, SensoWash Slim offers balanced proportions and features an ultra flat shower-toilet seat. 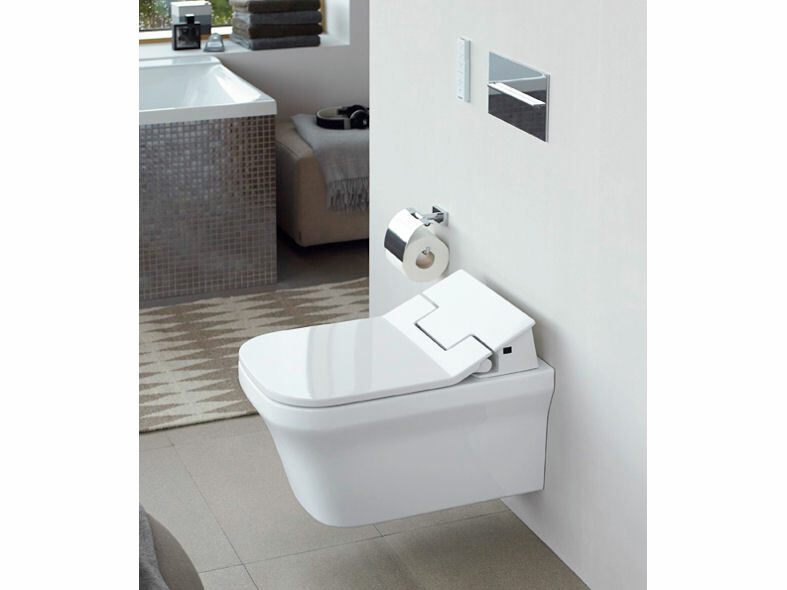 SensoWash Slim looks like a classic toilet, with sleek aesthetics and a timeless modern design. 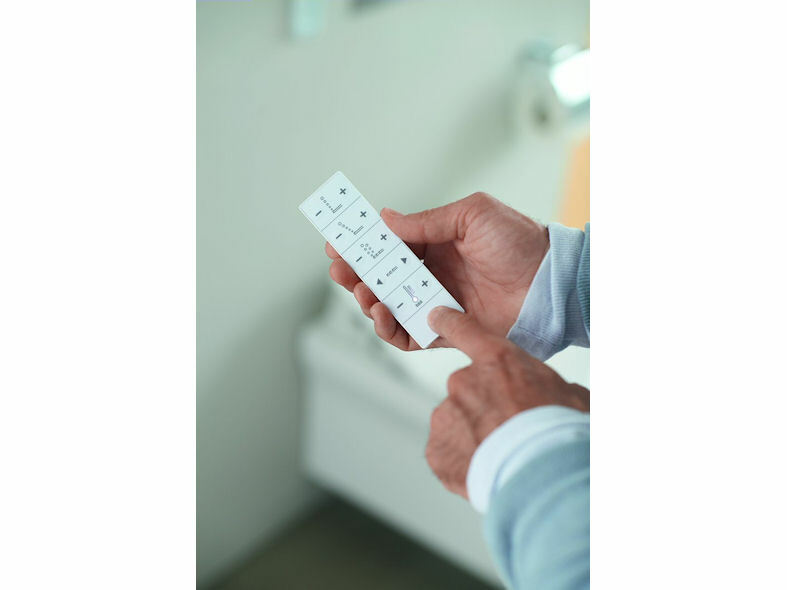 The handy, ultra-slim remote control, which continues the clear design of the shower-toilet seat, is used to select the desired function: ComfortWash, RearWash or LadyWash. The intensity and position of the spray and the water temperature can be set to suit personal taste using the illuminated symbols. There is also a clever and convenient night-light function, with an LED that illuminates the inner basin providing orientation in the dark. It is also possible to lock or unlock all functions using a special key combination. After use, the remote control is stored in a wall-mounted holder. The lid and seat close automatically and gently. The flat seat unit, which is made of an especially robust material, is very hygienic thanks to its scratch-resistant, pore-free surface. 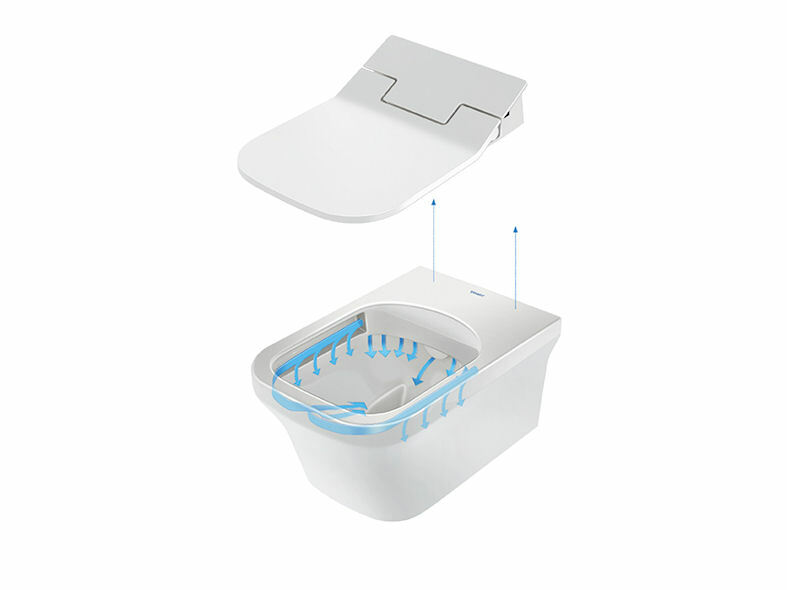 For the first time the seat and shower-toilet technology are completely separate: The entire SensoWash Slim seat unit can be removed and replaced allowing it to be cleaned quickly and easily. SensoWash Slim provides essential shower functions for natural cleansing with water and offers outstanding value for money. 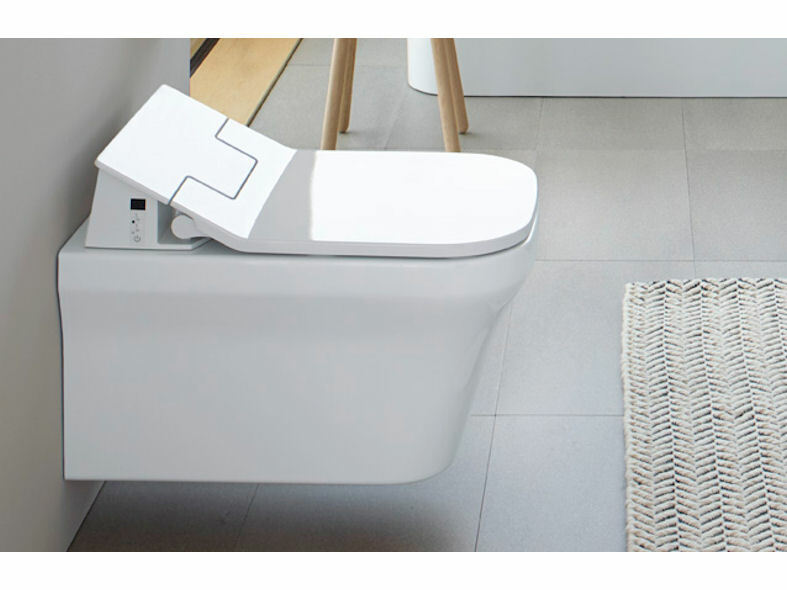 SensoWash Slim is available in various design versions to satisfy different needs and bathroom situations, making it compatible with seven Duravit ranges, including the new P3 Comforts and ME by Starck ranges, as well as DuraStyle, Happy D.2, Starck 2, Starck 3 and Darling New.